This elegant 2-story Manhattan Beach Tree Section Home is graciously appointed with granite, hardwood floors, high (vaulted) ceilings, crown molding, ceiling fans and so much more! 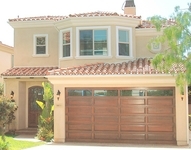 Its generous floor-plan includes 5 Spacious Bedrooms plus Two Full Baths & Two � Baths. Both the Formal Living Room & Family Room have Fireplaces. 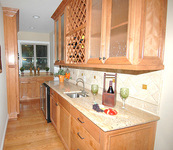 The Gorgeous Kitchen is a gourmet's dream with a large center island & top of the line appliances. There is also a Butler's Pantry with wet-bar, Wine Fridge & Built-in Wine Rack. The Master Suite has a fireplace, large walk-in closet, balcony and lavish master bath with spa tub and separate shower.The consummate entertainer will enjoy the separate upstairs media room or play area as well as the Beautifully Landscaped Rear Yard with a raised patio area with outdoor fireplace. It also has a Large Upstairs Laundry Room with plenty of storage & an attached 2-car garage.